Fleetwood Mac members Lindsey Buckingham and Christine McVie performed “Lay Down For Free” on CBS-TV’s The Late Late Show with James Corden on October 12, and video from the program is streaming online. 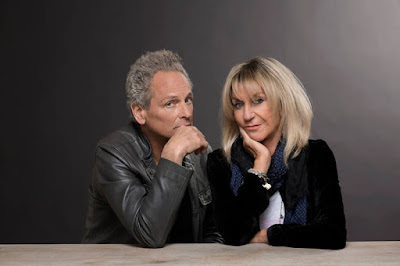 The tune is the fourth single from the pair’s self-titled debut album, which began with the exchange of song demos between the pair after McVie reunited with Fleetwood Mac for dates on their On With The Show tour in 2014. "I guess I've rediscovered my love for writing, my love for music. It seemed to evolve quite organically because I've been sending Lindsey my little rough demos, and he's sort of refined them and reshaped them into what's turned out to be our best material ever, I think." Following a successful summer tour across North America, Buckingham McVie have just launched a new fall run of US dates.